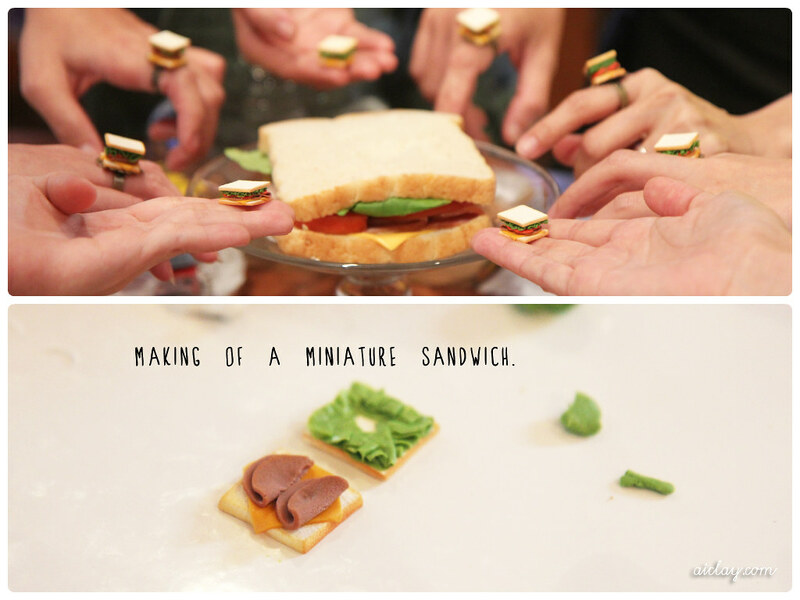 AiClay - a Haven of Miniature Food: The good ol' ham, lettuce and cheese sandwich. The good ol' ham, lettuce and cheese sandwich. Fancy a little sandwich to bring around with you everywhere? 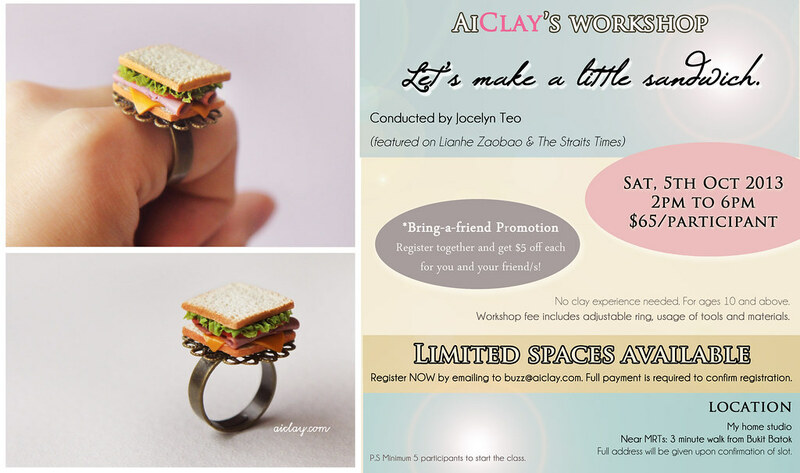 Come make a miniature version of the good ol' ham and lettuce sandwich with me, this Saturday! Email me at buzz@aiclay.com to register your slot/s now as we still have some left! It will be made into a ring, or as a necklace/bracelet charm, or a strap accessory (or even a display item)! You'll get to decide on what you would like. Real sandwiches and drinks will be served as we craft away! Fees: $65/pax, $60/pax if you bring a friend! Goodbye little minions, and some burgers!